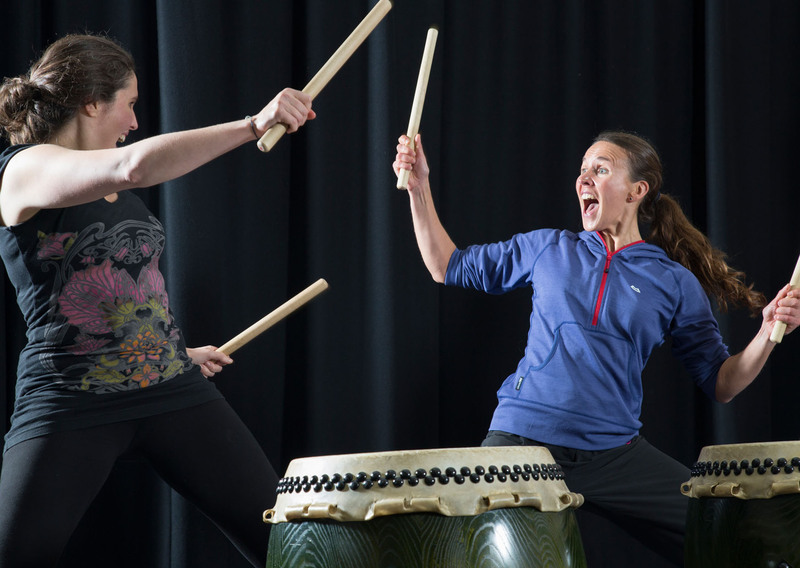 Start your week with a bang with our Drum for Fun sessions on Monday mornings. 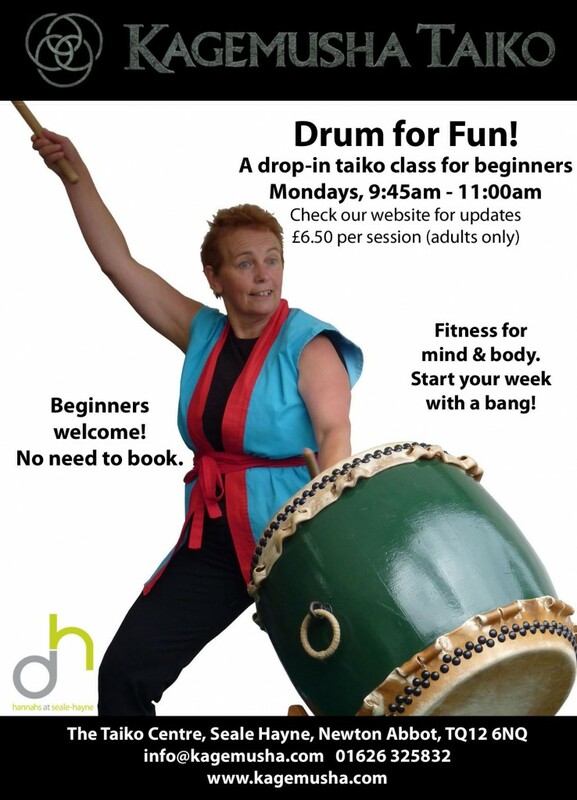 Suitable for complete beginners, and those that have played taiko before. No need to book! 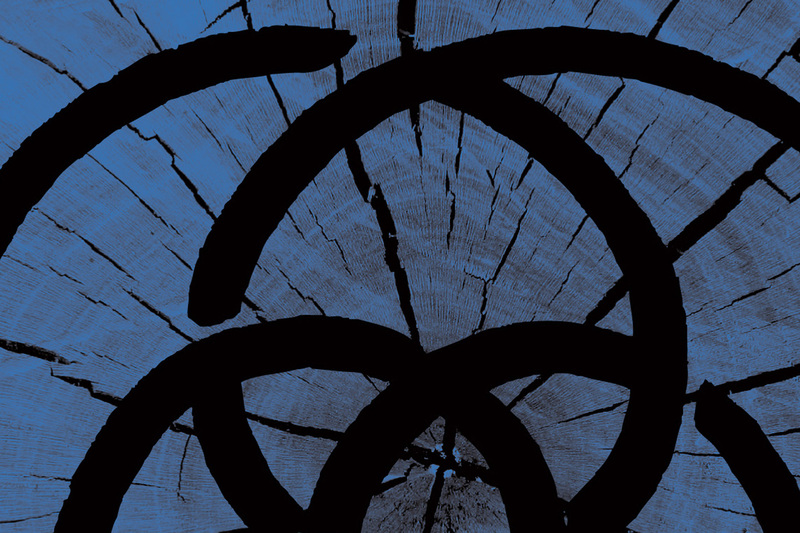 This hour long session is the perfect way to shake off those Monday blues. No need to book, no need for prior experience, suitable for those 16yrs+ and £5 per person. Come as much or as little as you like! For more info please email info@kagemusha.com. 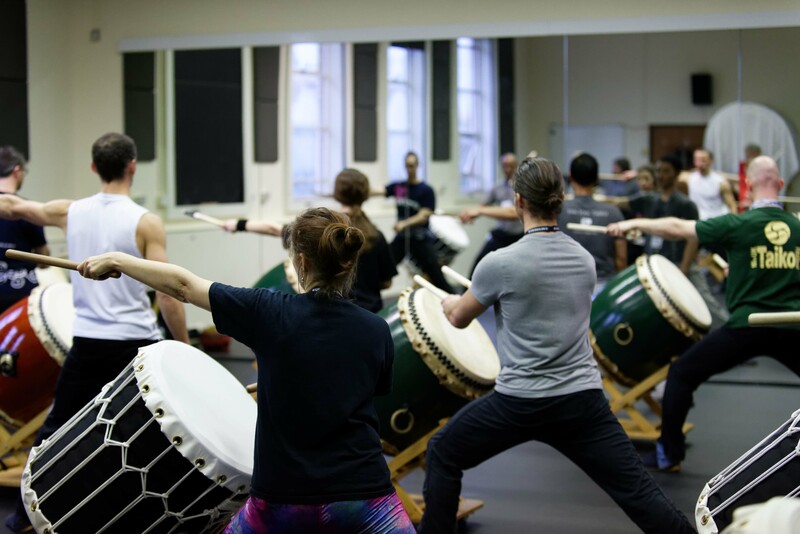 An exciting way to kick off a Sunday, these Skills and Drills sessions will cover a range of things including shime and odaiko technique as well as different styles of playing such as up-stand and slant stand. £10 per person and suitable for those who’ve played taiko before. Places must be booked in advance by email info@kagemusha.com or calling 01626 325832. The chance to play taiko in an informal class, these sessions are open to all (16yrs +), and will cover basics and the opportunity to work on a beginners performance piece. 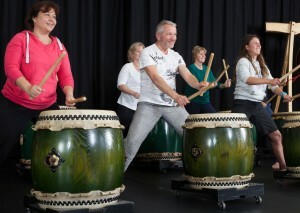 Includes tea or coffee from 9.30am at the Taiko Centre for those who arrive early. To find out more email info@kagemusha.com.